Citing its newfound partnership with Apple Music, Sonos on Tuesday revealed that the company will be refocusing its company on streaming music services, and as part of those changes it plans to layoff some of its employees. In a vague blog post, Sonos Chief Executive John MacFarlane didn't indicate how many employees would be let go, or what specific changes might be in store for the speaker maker. He cited a continued shift toward subscription streaming music services, bolstered by Apple's entrance in 2015. "This past year, when Apple announced its entry with Apple Music, we saw and helped drive a dramatic acceleration of paid music subscriptions," MacFarlane wrote. "With Apple's influence, the entire ecosystem —labels, artists, management —began to embrace and advance streaming all over the world." While Sonos apparently plans to "substantially and confidently increase" its investment in the future of music, the company will also be cutting some employees from its workforce. "We do this with a heavy heart, as we are in the process of letting go of some Sonos employees who have played important roles getting us to this point," MacFarlane said. "We wish them well, and we're doing everything we can to make their transition as smooth as possible." Beyond streaming, Sonos also has a keen interest in voice control in the home. The CEO specifically cited Amazon and its Alexa personal assistant and Echo hardware. "Voice recognition isn't new; today it's nearly ubiquitous with Siri, OK Google, and Cortana," MacFarlane said. "But the Echo found a sweet spot in the home and will impact how we navigate music, weather, and many, many other things as developers bring new ideas and more content to the Alexa platform." 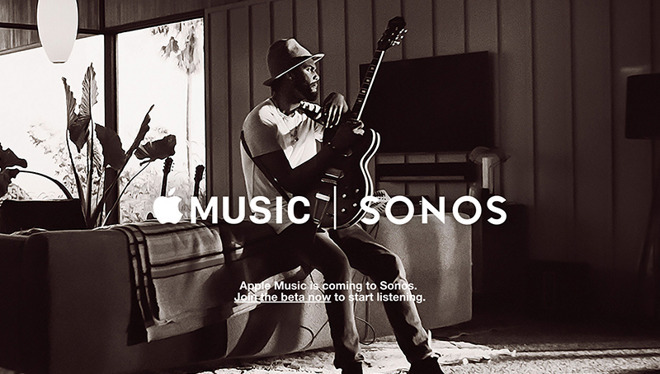 Apple Music became an official Sonos streaming option in February. The partnership brought Apple access to an installed customer base of about 5 million households with Sonos products.